It all began back on 5th October 1842, when Josef Groll brewed the first batch of bottom-fermented lager. 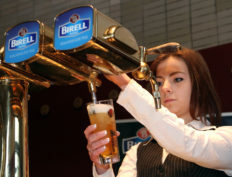 This saw the creation of a unique beer and a completely new beer category (Pils, Pilsner), which has become the most popular type in the world. The success of Plzeňský Prazdroj is based on the talent, enthusiasm and professionalism of our staff. We look after our people as well as we look after the quality of our beer. After all, they’re the most valuable assets we have. We like success. And even more than that we like sharing our success with those around us, our partners and the inhabitants of the regions we operate in. We are one of the leading corporate donors. Building good relations is a crucial aspect of our business, as is our responsible approach to business.